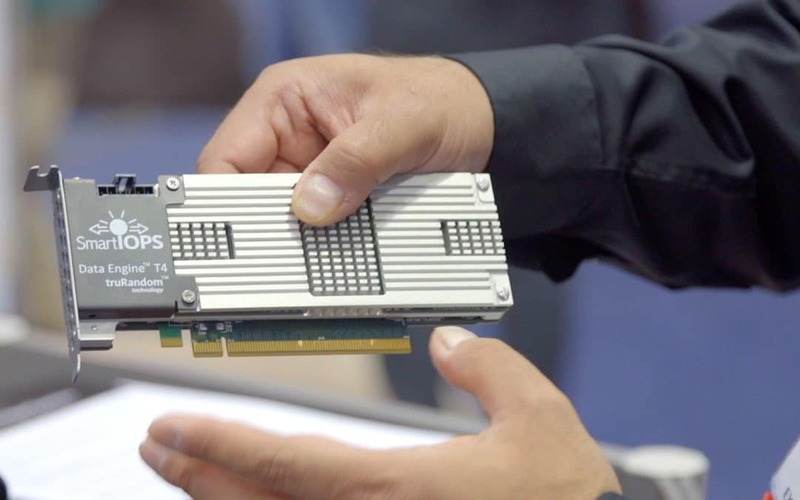 SANTA CLARA, Calif., Aug. 15, 2016 /PRNewswire/ — Flash Memory Summit (Booth 609) Smart IOPS, Inc. today announced the storage industry’s fastest Non-Volatile Memory express (NVMe) SSD series that offer a whopping 1.7 million and 3.4 million random 4KB Input/Output Operations Per Second (IOPS). Smart IOPS’ Data Engine SSDs deliver industry-leading dollar per IOPS, and sequential read speeds of 6,800 MB/s. Fully compatible with the latest NVMe specification, half-height half-length add-in card Data Engine SSDs range from 2TB to 10TB in capacity.